The School is open from 8.15 a.m.
Pupils must be in their Form Room for Registration by 8.30 a.m. and it is important to note that each day formal lessons begin at 8.40 a.m.
All year-groups have a mid-morning break and a lunch-break (times vary). There are three sittings of lunch, each with its own play-time, between 12.00 p.m. and 2.00 p.m. The Pre-Prep, Year 3, Year 4 and Year 5 have a mid-afternoon break. The older year-groups, whose lunch-break is later, have no mid-afternoon break. Years 1 & 2 - 3.30 p.m.
On Games Days (see below) times do vary. 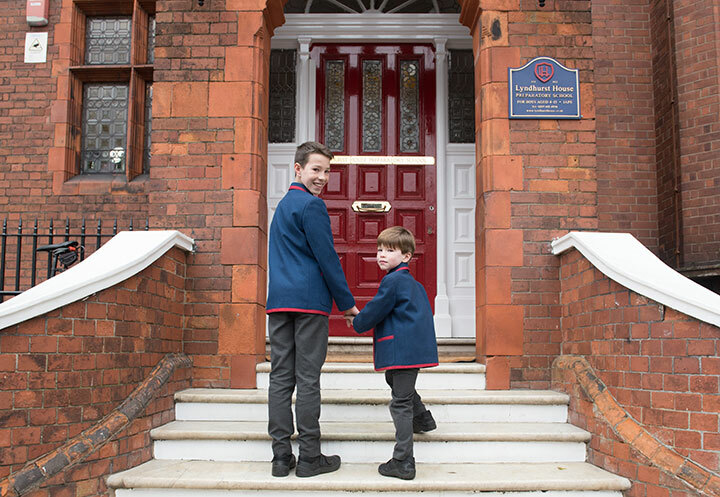 All boys in Years 3 to 8 are dismissed at 3.45 except on Games Days when they return at around 4.15 p.m. There is a late room where children can wait, supervised, in the event of a hold-up. On Games afternoons, boys can be picked up from the playing fields by prior arrangement – written notice is required, and boys should be picked up well before the coach is due to leave (around 3.45 p.m.).